One of the most challenging things about the school summer holidays is finding things that not only don't swallow the entire holiday budget in one afternoon but, at least in my case, manage to fit in with family life. It's all very well planning a family jaunt to destinations far and thrilling, but coercing the TeenTwins and the Tween to get involved is a work of art in itself. And usually involves the Twins developing pressing engagements elsewhere and the Tween stropping because the wifi is her brand new umbilical cord. Though we do it anyway, and the resulting bloodbaths and subsequent gin-drinking has become the stuff of family legend. But with a seven-year-old, the organisational skills and loin-girding that is required to organise a Family Day Out is often not enough to keep him entertained for an entire six-week holiday. Or six minutes. So we're lucky to be living in a town that boasts several kid-friendly places to visit, that don't cost much money or don't take three weeks of negotiations to enjoy. 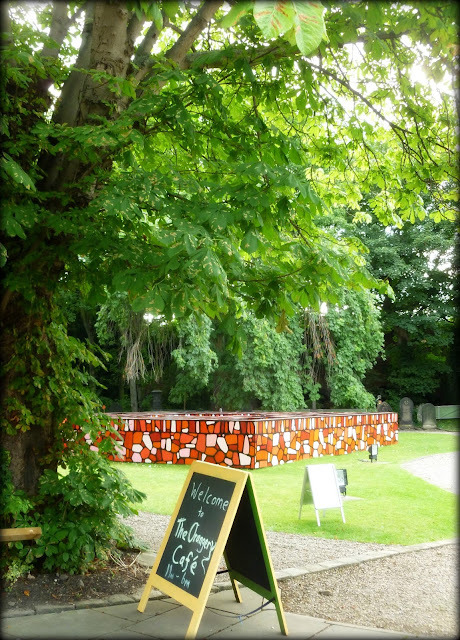 A Maze for Yorkshire is a maze in Yorkshire, or more precisely a "fantastical cartoon" of a dry stone wall maze in the grounds of The Orangery, a historic jewel that nestles like a special secret in the centre of Wakefield. 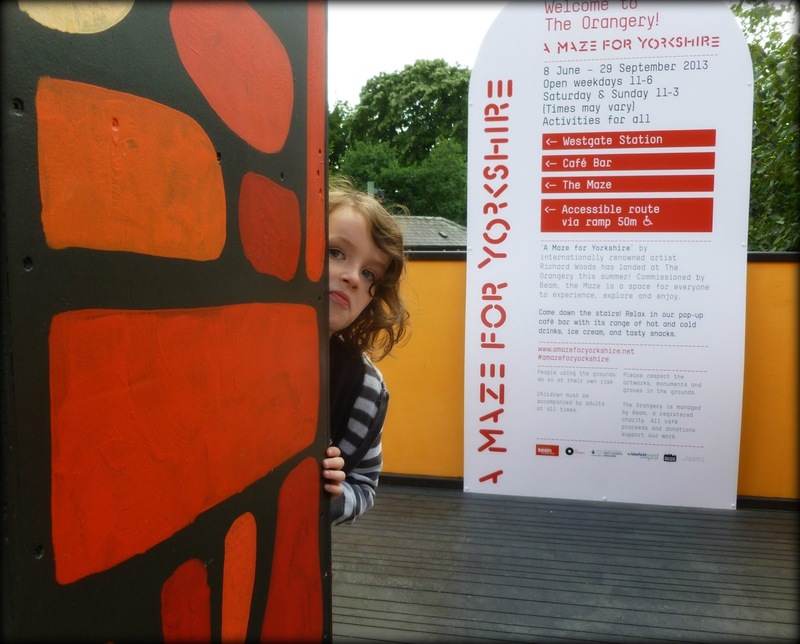 A Maze for Yorkshire, by internationally renowned artist Richard Woods, is a maze, obviously and incongruously cartoonish. It squats in the grounds of The Orangery where the usual garden ornaments are a range of historic headstones and a monument to the working man. 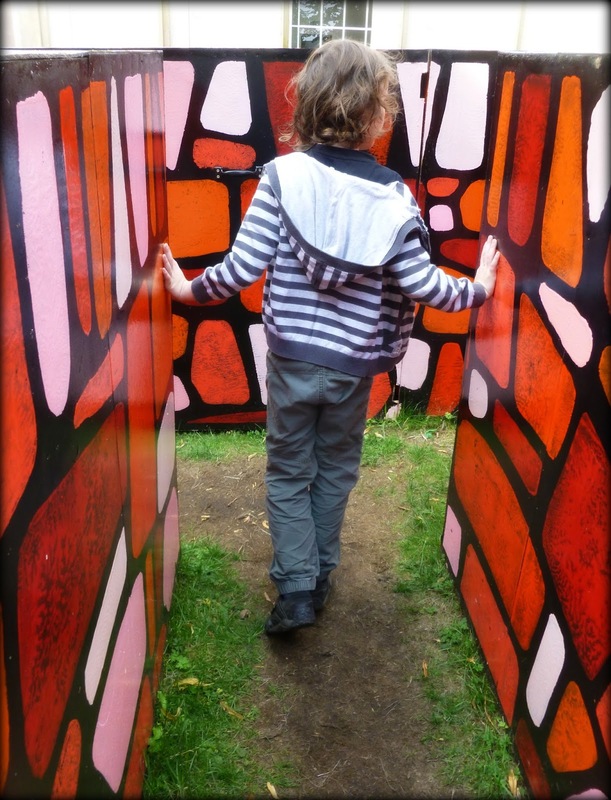 It's not a big maze (as some mazes go) and not a tall maze (as other mazes go) but it is clever. 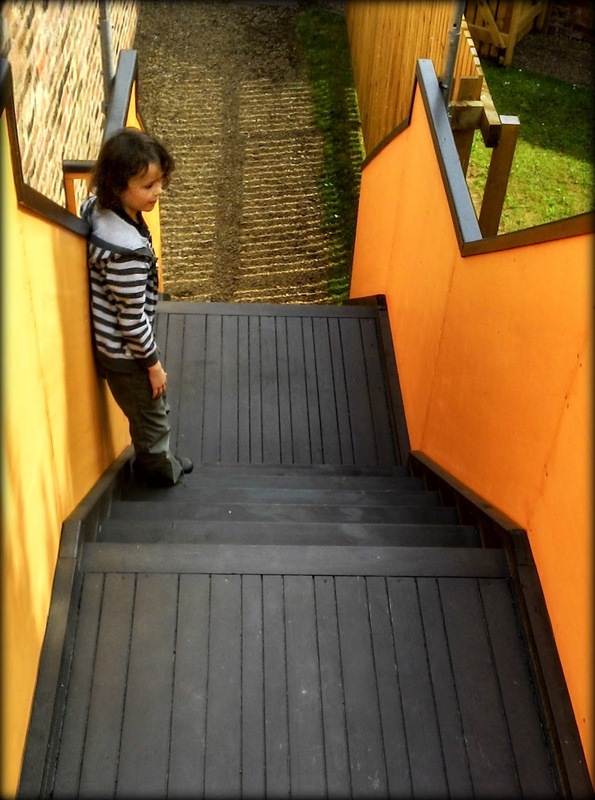 And it's a maze. 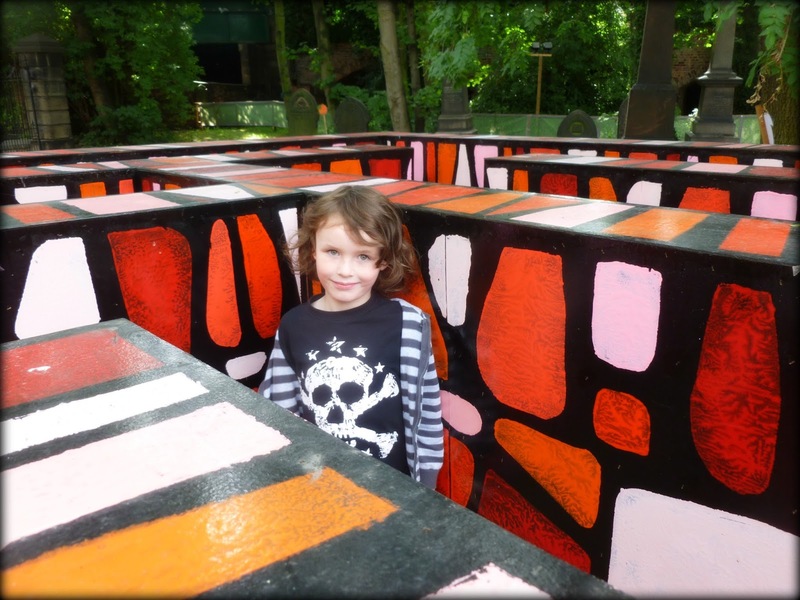 Who the hell doesn't love a maze? And ..... *gets dragged into cafe by a small boy declaring: "Mummy can I have flapjack, look there's wine for you"* ...., apparently, it sells wine. Disclaimer; this review has not been solicited or sponsored. All views are my own, or The Boy's.